“People are already trying to pay back huge energy bills after the ‘Beast from the East’ hit and now, with further hikes on top of that, many simply won’t be able to cope” – Bishop Denis Nulty. Almost one third of Irish people living in consistent poverty could not keep their house adequately warm last year, a Survey on Income and Living Conditions (SILC) has revealed. The survey highlights that 48 per cent of people living in consistent poverty went without heating at some stage in the last 12 months due to cost, and 29 per cent could not afford to keep their house adequately warm. 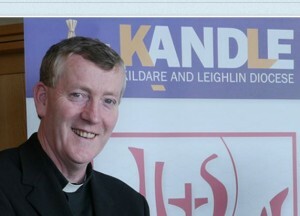 Both the Society of St Vincent de Paul (SVP) and Bishop Denis Nulty of Kildare and Leighlin highlighted the issue this week ahead of planned energy price increases. Bishop Nulty called on the government to look at the price increases and think about how the poor in society can be supported. In its latest blog, the SVP said it continues to provide advice and financial assistance in relation to energy. “The Society is an active on-the-ground advocate for affordable energy and energy efficiency initiatives. Recent weather events have served as a stark reminder of the stress many households continue to face over being able to meet their utility costs, a reality that SVP members know all too well,” stated the SVP’s Mary Moylan in her blog. The SVP highlighted that the Public Service Obligation (PSO) levy, standing charge and VAT on the average electricity bill accounts for 37 per cent in urban areas. In rural areas, this increases to 39 per cent and has to be paid even before a single unit of electricity is paid for. The PSO levy alone has increased by more than 231 per cent over the last five years. 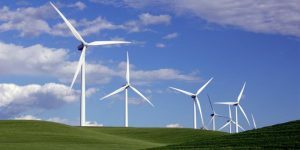 Increasing energy costs are a particular concern, according to a report by the Sustainable Energy Authority of Ireland (SEAI), which found that after a decade of decline, the typical amount of energy used in Irish homes is rising. Between 2005 and 2016, electricity use in households increased by 5 per cent. Energy costs have increased by 7.6 per cent in the 12 months to May 2018, with an average increase in energy costs of 24.2 per cent since 2010. The SVP welcomed the announcement made by Minister Naughten in March 2018 that the standard measures available under the Warmer Home Scheme are being expanded, allowing for deeper retrofit measures, but stated that more needs to be done to improve the energy efficiency of housing. The SVP has seen that many of the households that need support are in the private rental sector, which has a higher proportion of poor energy ratings such as E, F and G Building Energy Ratings (BERs). According to the SVP, government intervention will be needed to ensure minimum energy efficiency standards are met in the rental sector. Stating that one in four households live in energy poverty, SVP suggested initiatives in the area of energy in its recent pre-budget submission. – additional arrangements for low-income households in need of extra fuel assistance in the event of adverse weather patterns. – a new Cold Weather Payment scheme that would provide a guaranteed extra one-week payment in the event of extreme cold weather. – increase Fuel Allowance to bring it back to 2010 levels. – maximise uptake of energy schemes investing in more appropriate fuel and tailored dissemination and outreach initiatives and campaigns towards those households in energy poverty. – make available the evaluation and consultation paper on energy efficiency standards in the rental sector. The charity concluded that if introduced by government, these measures could provide significant improvements to help alleviate the stress faced by thousands of low income, energy-poor households.